Please contact Cupcakes 101 at (603) 488-5962 to place orders for custom cakepop bouquet! We look forward to hearing from you! 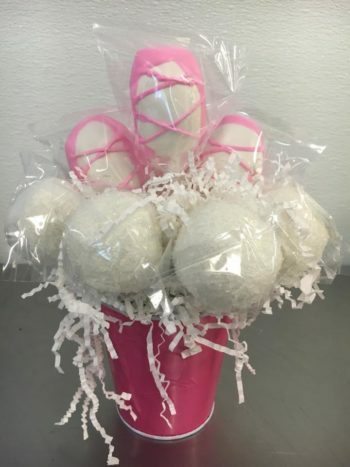 Cakepop Bouquets make excellent gifts for Birthdays, Holidays, Corporate Gifts and more! Cakepop Bouquets come in denominations of 12, 18 or 24; with your choice of container and decorated to meet your specifications.